When consulting with distributors implementing CRM technology, I’m often involved in the training of the sales team. I like to start each sales team training session with this question: “Why do you think your company is moving forward with CRM?” As you might imagine – or perhaps have already experienced in your own company – typical answers are: “So they can monitor what I am doing,” “They want more information,” or “They need reports.” Sales reps view CRM as something the sales team will spend time on but get little personal benefit from. Given this, it’s no surprise that many companies struggle to gain buy-in from their sales team when implementing a new CRM system. 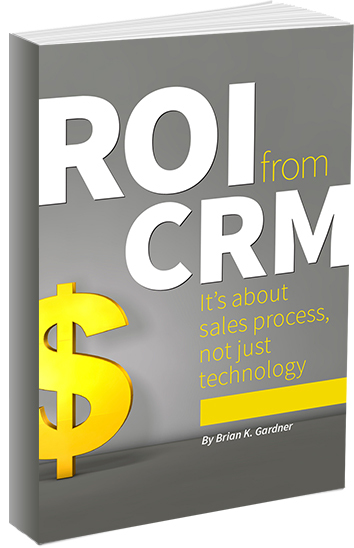 CRM projects that launch without the sales team on board will never realize the ROI that these systems can otherwise achieve. So how can companies gain the support and engagement of their sales reps? By realizing that the same types of strategies used to sell a product to a customer can be used when selling CRM to the sales team. Would you pitch a new, more expensive product to a customer without emphasizing its benefits? Of course not. For the same reason, you should avoid pitching a new, seemingly more time-consuming CRM-based sales process to your team without emphasizing what’s in it for them. Time and again, I’ve seen companies turn the task of training the sales team on CRM over to a technical person who trains users on the “how” but not the “why.” Not surprisingly, they don’t achieve the results they seek. It will save them time. Initially, it will take time for reps to become familiar with a new CRM system, and it will take time for them to input data into the system. But a CRM system used to its full potential can save reps time in the long run. Because a CRM can be set up to track how often quotes with a particular lead have fallen through in the past, which customers segments are most likely to be interested in a new product and many other telling metrics, reps will be less likely to waste time chasing leads that aren’t worth the effort. CRM can also help sales automate many common processes, such as activity reports for their managers. It will increase their quote hit rate. Most reps don’t have time to send follow-up emails after sending quotes, so they don’t. Having a CRM system automatically generate a follow-up email for every quote sent can result in a higher quote hit rate for reps, without them ever lifting a finger. This is probably the lowest-hanging fruit as far as getting ROI from CRM, and it benefits sales reps directly by helping them boost sales. It will help them refine their sales pitch. CRM software allows reps to store all information on a given customer in one place, including notes about why an opportunity closed or fell through. For companies that track their customers and prospects by segment, this means reps can easily review which sales strategies work best with each segment, helping them to continually improve their sales pitches over time. Getting your top sales reps to buy in to your CRM project will facilitate its adoption by the rest of the team. Learn more about How to Get ‘Sales Cowboys’ to Buy-In to CRM.